Finlandia University is proud to recognize all those students who have earned Dean’s and Honors List recognition and also those who are invited to the annual Honors and Awards Banquet because of their academic success. 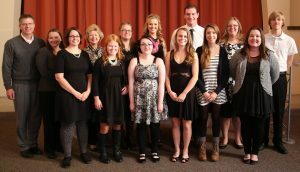 On November 9, 2015 Finlandia University officially inducted the charter members of the Finlandia University chapter of Alpha Lambda Delta honor society chapter. 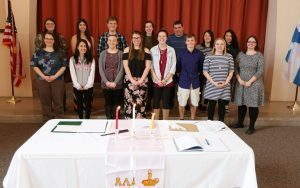 Each semester this student group will recognize many of the best and brightest students with lifetime membership in the society. 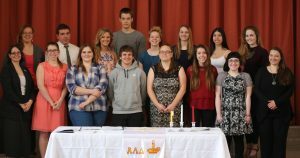 Learn more about Alpha Lambda Delta on the organization’s national website.